Many people are unaware that a specific set of rules apply to maritime employees when they suffer accidents with injuries on the job. Unlike state worker’s compensation claims, employee maritime injuries are covered in part under a federal law called the Jones Act. The Jones Act helps protects workers injured at sea. Sailors and crew members who are injured or taken ill at sea can receive compensation, maintenance and cure benefits from their employers to cover lost wages, medical expenses, damages, and more. 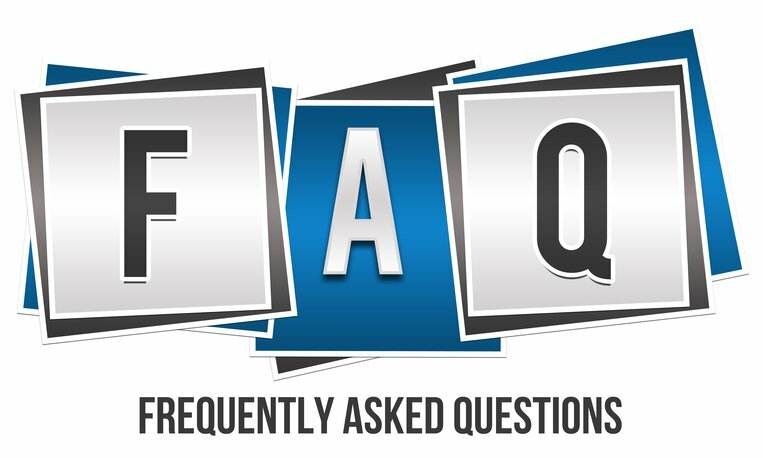 Read this blog to learn the answers to 5 of the most commonly asked questions about the Jones Act. How Do Jones Act Claims Differ from Typical Worker’s Compensation Claims? Worker’s compensation is a standard benefit that most employers are required to have for their employees to provide compensation for medical care and lost wages resulting from workplace injuries. Under the Jones Act, maritime workers are also protected for injury or illness incurred, but the available damages available can be much greater. Because of the Jones Act—and the related Admiralty Laws—maritime employers have greater liability to their employees for causing injuries and their resulting damages. In addition to maintenance and cure, employers or ship owners can be held liable for pain and suffering and other damages if the injury was caused by unseaworthiness or risky/carless behavior by the employer, captain, or coworker, or if the conditions of the vessel are found to be unsafe. This makes it easier to prove general negligence on the part of the employer. Qualifying as a seaman is essential to file a Jones Act claim, and an experienced maritime attorney will be able to tell you if you qualify. For example, the 30% rule is not so much a rule as a guideline, and an attorney who is experienced in Maritime Law and Jones Act worker’s compensation can tell you if you have a case. How Do Negligence Lawsuits Fit In? Because of the Jones Act, maritime workers can sue their employers for negligence. Seamen injured on the job can receive more compensation by proving negligence, which holds employers more fully accountable for their employees. In comparison, most State and Federal worker’s compensation statutes do not allow employees to receive damages for pain and suffering and for many other types or damages, future damages, and impairments which often occur. Establishing negligence allows the injured seaman to request both economic and non-economic compensation. It included both lost daily living expenses and medical expenses (which you often hear referred to as maintenance and cure), the past and future impairment of your ability to earn wages after the injury, as well as pain and suffering caused by the injury. Non-economic damages can also act to punish employers for, particularly severe negligence. What Is the Unseaworthiness Doctrine? In some maritime worker’s compensation claims, the accident or injury occurred because the vessel was not in a condition to be at sea. When the poor condition of the ship is to blame, the “unseaworthiness doctrine” applies. This doctrine states that the owner of the vessel is legally obligated to keep it in good and safe working order, including the proper equipment and a qualified crew. If any of these things are missing and a crew member gets injured, the owner of the vessel is responsible and the victim may be able to receive the same damages as a negligence lawsuit. This is similar to a negligence inquiry, but there are important distinctions which a qualified attorney can help explain to you. A statute of limitations limits the period of time during which you can begin or file a lawsuit. After the running of a statute of limitations (often abbreviated SOL for two reasons), you can be barred as a matter of law from bringing claims for damages from your accident. In more simple terms, if you are more than three years from your date of accident and you have not filed a lawsuit, you may be SOL. The normal statute of limitations under the Jones Act is three years from the date of the incident or accident. If you are more than three years from the date of your incident and have not filed suit in Court, your claims for Jones Act damages will likely to be barred as a matter of law. There are some exceptions to this general rule (and the SOL is shorter for individuals injured on a U.S. government-owned vessel), but it is always a good idea to speak to a qualified attorney well in advance of the three year anniversary of your accident. You should note that unlike many State workers’ compensation statutes, the payment by your employer of maintenance and cure (living expenses and medical expenses through maximum medical improvement) do not toll or extend the statute of limitations time period. Maritime law and the Jones Act claims are complicated legal matters that are best left up to attorneys who have studied and practiced in those areas of law. If you have a Jones Act claim, you should speak to an attorney experienced in maritime law to help you navigate your claim. Contact C.W. Smith P.A. for help with your Jones Act Claim. Mr. Smith can help you determine if you should file a negligence lawsuit, and help you along every step of the process.